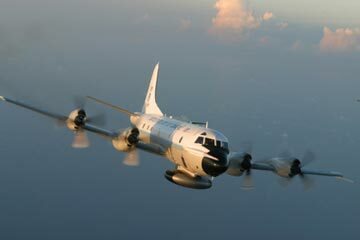 The Hurricane Hunters are aircrews that fly into tropical cyclones in the North Atlantic Ocean and Northeastern Pacific Ocean to gather weather data. The Air Force Reserve 53d Weather Reconnaissance Squadron, the world's only operational military weather reconnaissance unit, is based at Keesler Air Force Base in Biloxi, Mississippi. One U.S. aircrew has been lost in duty since such missions began in 1943. Six of the seven crew members of the Navy PB4Y-2 (BuNo 59415) were killed on October 1, 1945 when their plane went down in a Category 1 typhoon over the South China Sea.